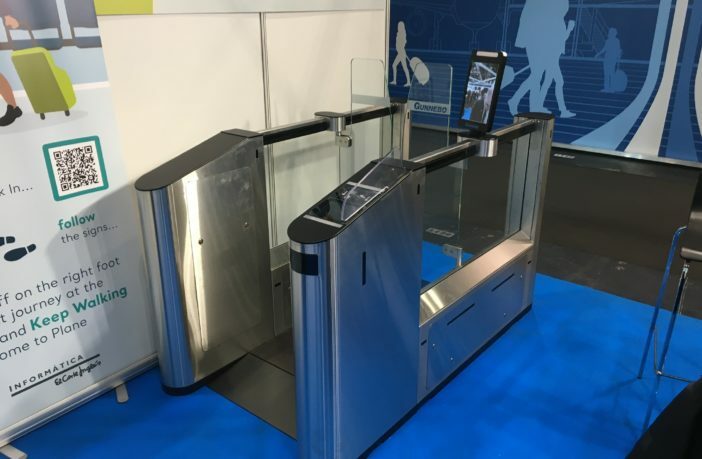 Systems integrator IECISA (Informatica El Corte Ingles) is showcasing its biometric passenger journey technology at this year’s expo. 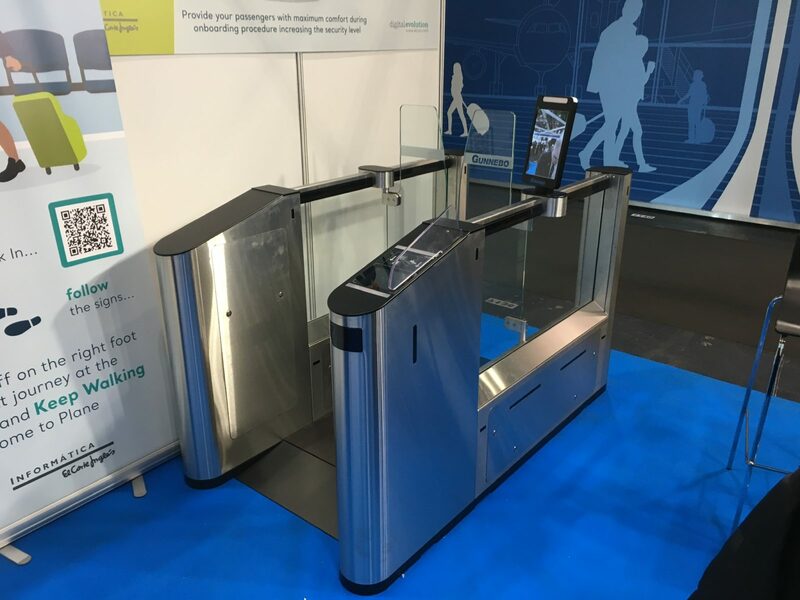 It consists of biometrics software for automated gates and the ‘PassFly’ app to allow passengers to record their biometric data before they arrive at the airport. Both work together to allow passengers to ‘keep walking’. In other words, they can walk through the airport without ever needing to stop to scan passes or be manually identified. The gates are dubbed ‘ABC’ and feature the company’s digital dynamic access control. This means that they are fitted with smart cameras that can identify a passenger while they are walking through the gate – without them needing to stop. Rather than matching the pre-recorded facial scan with a static image, the technology compares multiple video frames to get an accurate match. The gates at the airport work together with a mobile application that passengers can download at home. The PassFly app can scan travellers’ passports and biometric data (facial scans) to allow them to use just their face as their ID and boarding pass. “What we want is that the passenger can keep walking, that they don’t have to stop and look for their boarding pass or stop to get verified. In 80% of the cases, this works.” If this does fail, passengers are asked to stop to allow the system more time to match the passenger with the saved data. As a last resort, a physical ID and boarding pass can still be scanned. Although the move into airport verification is new for IECISA, Álvarez explained that the technology is well proven: “We are biometrics experts. 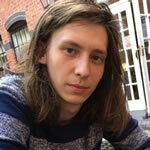 We do biometric registrations for databases and for a host of civil institutions. Our technology is used by several governments, so we understand the biometrics issues, the problems of GDPR, and we are an integrator, so we know how to solve clients’ problems”.